Dodge Dart Powertrain Performance Pros and Cons | Page 1 of 1 | Why Not This Car? What drives people to buy (or not buy) a certain car? 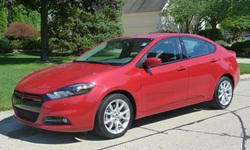 TrueDelta's members share Dodge Dart pros and cons based on their real-world driving experiences. Transmission is rough and plagued with issues. Transmission had to be flashed at 5,000 miles for lurching at low speeds. No when coasting downhill the transmission will shudder and car speed will increase. Even with the 2.0 liter engine, it has plenty of power. Auto transmission is very smooth shifting. 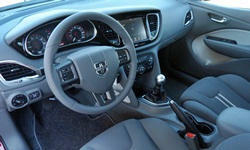 Dodge Dart 1.4l 6 speed: A fun, economical car that is worth taking a test drive. Great car! The turbo does take getting used to for North American drivers used to 4, 6 or 8 normally aspirated engines. The Turbo lag is very manageable once you learn the quirks. The 1.4l turbo w/ DDCT is a great combo. Very efficient and reliable.